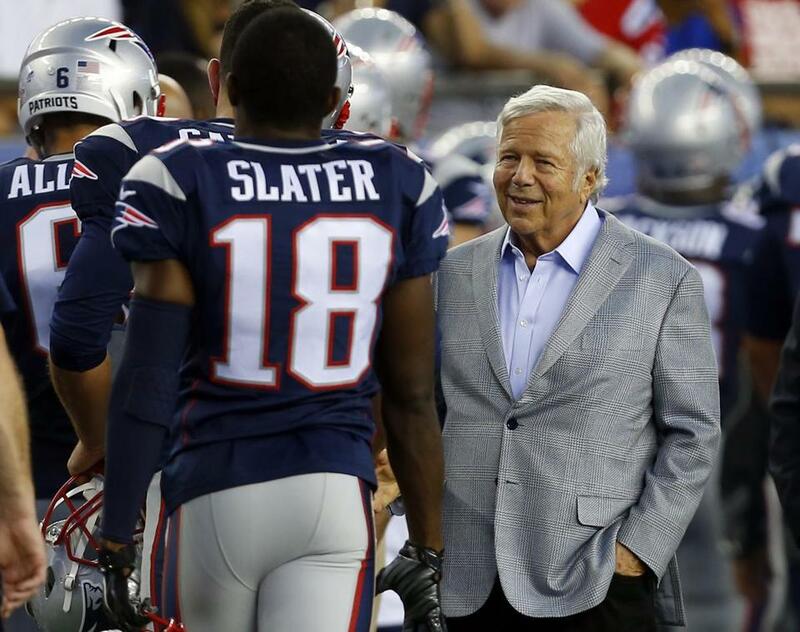 Patriots owner Bob Kraft shook hands with players before the start of a preseason game last year. Tom Brady had a Donald Trump hat inside his locker. And now Brady’s boss — a man known for stirring up controversy, and winning big — has some glowing words about The Donald. “While I am not comfortable discussing politics publicly, I am very comfortable talking about my friendships with people who happen to be in politics,” Kraft said in a statement. And Trump has also been there for Kraft in times of need. Trump has been a frequent guest of Kraft’s in Foxboro, with photos showing him on the field, in the owner’s box, and in the locker room. 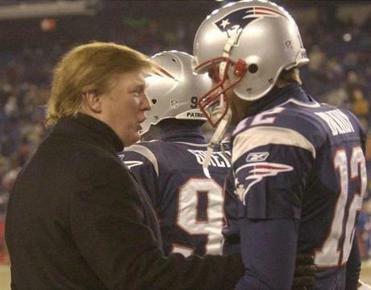 Trump also has an intertwined history with the Patriots. He was approached about buying the team in 1988 by the Sullivans, the family that owned the team at the time. Kraft got involved in the team shortly after. In several interviews last fall, Trump mentioned to a Globe reporter that he was good friends with Kraft. Until Monday, the team had for months declined to respond to requests for comment.